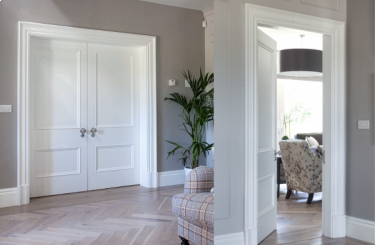 The Barnet style internal double door offer true opulence with beautiful decorative mouldings and glass panels. 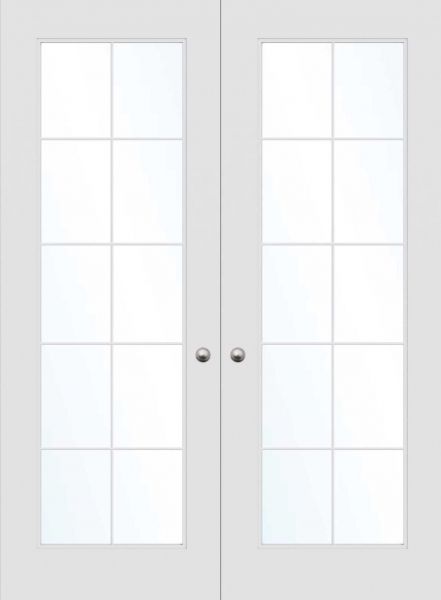 Our glazed made to measure internal doors can be produced in both fire rated and non fire rated. The single pane glazed option is one large pane of glass, which is then fitted with 8mm prosthetic glazing bars, as can be seen this design example has 10 pane effect. This method of producing the glazing bars give us the versatility to create a unique glazing design, as the glazing bars prosthetic it will not impact the fire ratings integrity of the door. This option can also be Glazed custom double doors can be produced in both fire rated and non fire rated, the single pane glazed option is one large pane of glass, which is then fitted with prosthetic glazing bars, as can be seen this design example has 10 pane effect. This method of producing the glazing bars give us the versatility to create a unique glazing design, as the glazing bars prosthetic it will not impact the fire ratings integrity of the door. 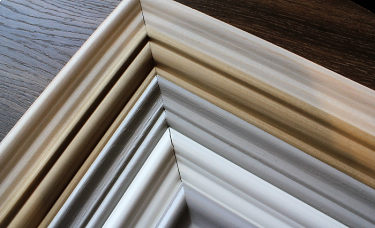 This option can also be manufactured in a simple glazed design with no glazing bars.